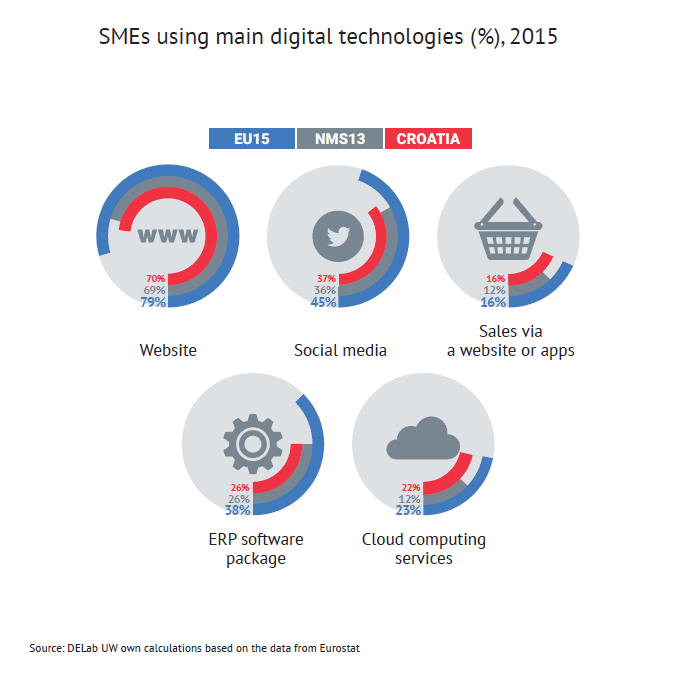 In this report we examine the level of digital transformation of SMEs in Croatia in comparison to SMEs from other EU countries. We take into consideration both the digital business environment (digital infrastructure such as Internet availability and digital skills of human capital) and the adoption of digital technologies. The introduction of digital technologies such as websites, social media, e-commerce, electronic information sharing and cloud computing simplifies and accelerates decision making, allows effective brand building, facilitates transactions and makes it possible to reach new customers. Internet and digital tools become a must in the context of the Digital Single Market strategy (DSM). The regulations proposed within the DSM greatly enhance the opportunities stemming from successful digital transformation, as well as pose risks connected with losing markets and customers due to digital business illiteracy. Although the digital revolution affects both ICT and traditional businesses, it puts significant pressure on Small and Medium Enterprises (SMEs) that are relatively more sensitive to global competition occurring within the Internet compared to their stronger, bigger counterparts. 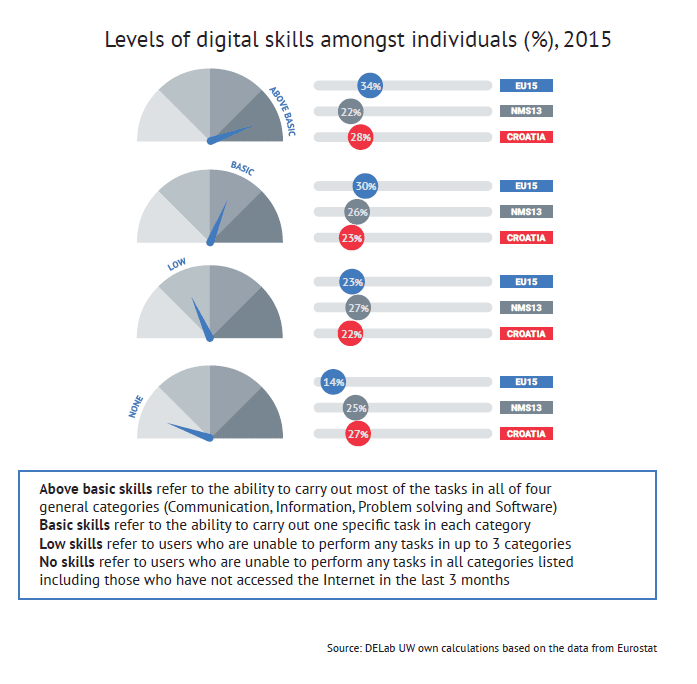 Are Croatian SMEs ready to compete on the Digital Single Market? 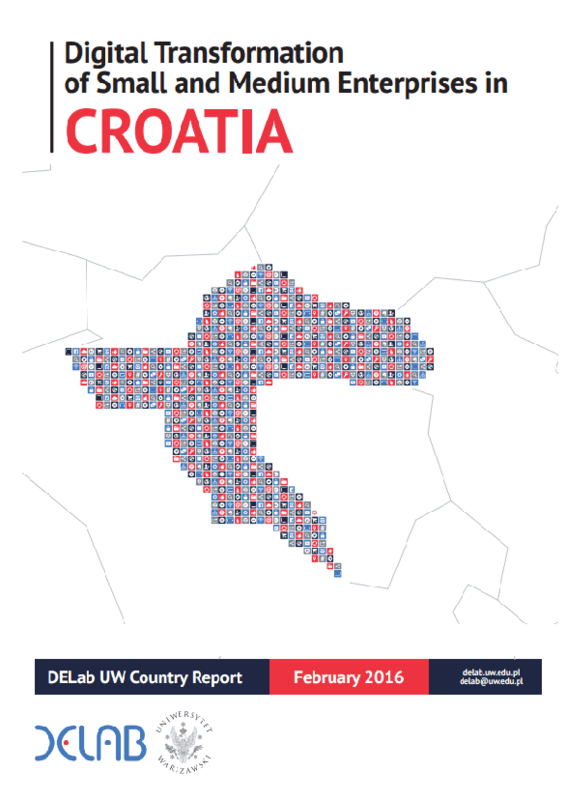 Our analysis suggests that Croatian enterprises are at the forefront of digital openness, outperforming their regional counterparts. They readily adopt digital technologies, especially in the area of e-commerce and cloud computing services. In spite of this, the pace of their digital transformation is being slowed down by the worst Internet infrastructure in the whole EU and the inadequate digital skills of human capital. As a result, according to the index measuring digital transformation of economy and society (DESI), the country takes one of the last places among the EU28 (24th).